The Bulldogs' defense holds Stanfield mostly in check; despite a couple late surges, offense hard to come by. The Bulldogs knew the game was a must-win. 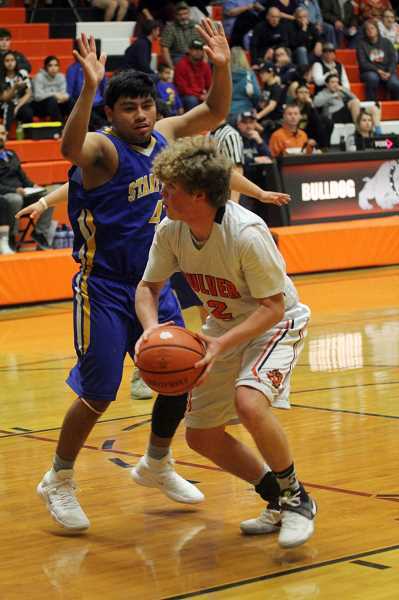 With an 0-5 Columbia Basin Conference record, putting them fifth in league standings, the Culver boys basketball team's only mathematical chance to make the CBC tournament was to beat Stanfield at home on Friday. It seemed like a realistic proposition, given that the last time these two teams played, on Jan. 13, the game went to overtime, before Stanfield eventually won 54-47. Friday's rematch was similarly close for much of the game, and also, the same end result. Although both team started slow offensively, Stanfield took the lead in the second quarter and never relinquished it. Culver put together a couple late rallies, but Stanfield prevailed 42-37. "If we played together and shared the ball, we knew we could beat this team," Culver senior Matt Krueger said. "Last time we had a rough start, but came back strong. I feel like that's what happened tonight." Baskets were hard to find early for the Bulldogs. Five minutes into the game, Stanfield's Brody Woods grabbed a rebound and putback, giving the the Tigers a 7-2 lead. But Culver, specifically Krueger, closed the quarter on a 6-0 run, and led Stanfield 8-7 after one quarter. Krueger scored all but one of the Bulldogs' points in the opening quarter, on a 3-pointer and pair of midrange jumpers. 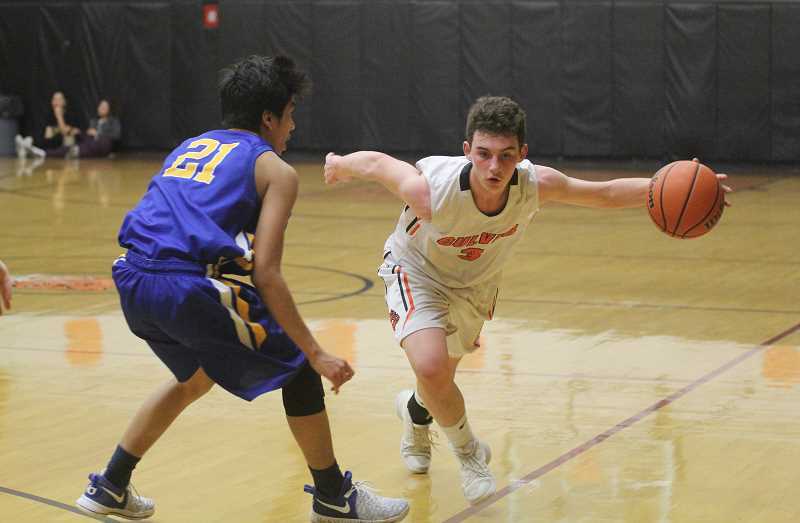 "Coach told us that somebody's got to get the lid off, because in the first quarter, nobody was hitting (anything)," said Krueger, who led Culver with 14 points. The scoring woes continued into the second quarter, as Culver managed just one point, and trailed Stanfield 14-9 at halftime. But the team gave a lot of credit to its defense, particularly Edwin Gutierrez on Woods, Stanfield's 6-foot-5 high-scoring post player. "Edwin is an unbelievable defender," Culver head coach Johnny Wilson said. "We just sick Edwin on him and let him do his thing. It wouldn't possible without a lot of help side defense, which we also got tonight." Check out expanded coverage in the Pioneer's Feb. 7 print edition.